The beer Duvel Green is brewed by Duvel Moortgat in Puurs in Belgium. The beer Duvel is brewed by Duvel Moortgat in Puurs in Belgium. 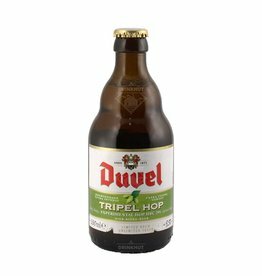 The beer Duvel Triple Hop is brewed by Duvel Moortgat in Puurs in Belgium. The beer Maredsous 6 Blonde is brewed by Duvel Moortgat in Puurs in Belgium. The beer Vedett Extra Blonde is brewed by Duvel Moortgat in Puurs in Belgium. The beer Vedett Extra Ordinary IPA is brewed by Duvel Moortgat in Puurs in Belgium. The beer Maredsous 8 Brown is brewed by Duvel Moortgat in Puurs in Belgium. The beer Vedett Extra White is brewed by Duvel Moortgat in Puurs in Belgium. The beer Maredsous 10 Triple is brewed by Duvel Moortgat in Puurs in Belgium. 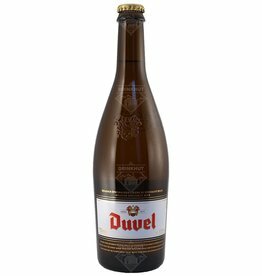 The legendary Duvel, in a 75cl bottle.